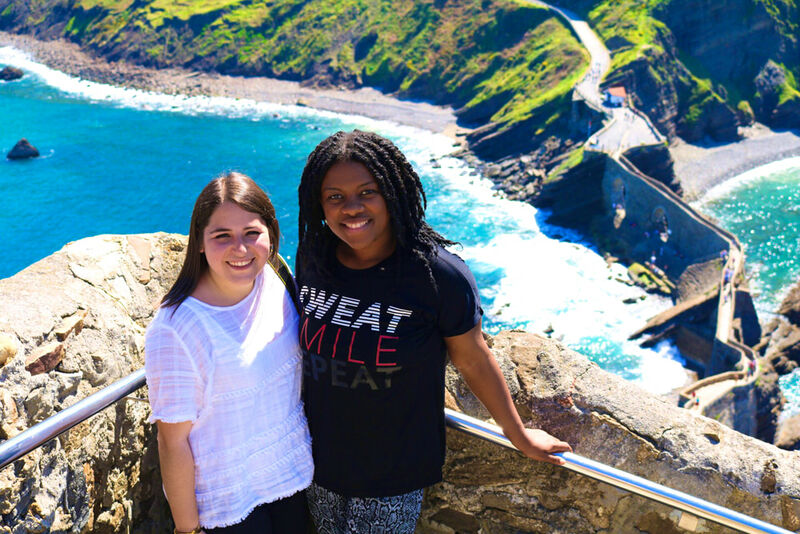 Of course Gaztelugatxe makes for cool Instagram photos and Snapchat stories , but it’s always better to know more about where you’re visiting than which filter looks the best. 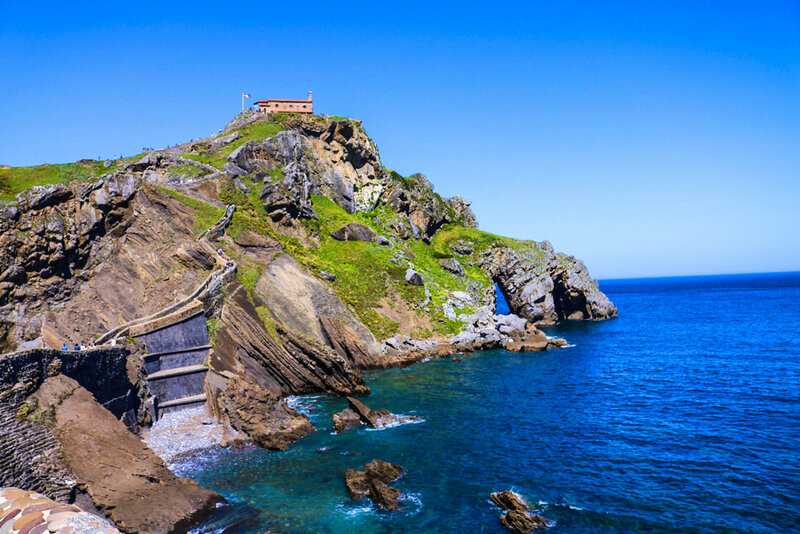 Historically, Gaztelugatxe has been around since about the 9th century; it has been attacked and used as a confrontation site for lords and kings. The church, which was CGI’d to be Daenerys Targaryen’s castle in Game of Thrones, has served as a refuge for shipwrecked sailors. You can read more about its history and why it’s important here. Hiking = hunger and thirst! Eat a hearty breakfast before you trek and pack a meal too. 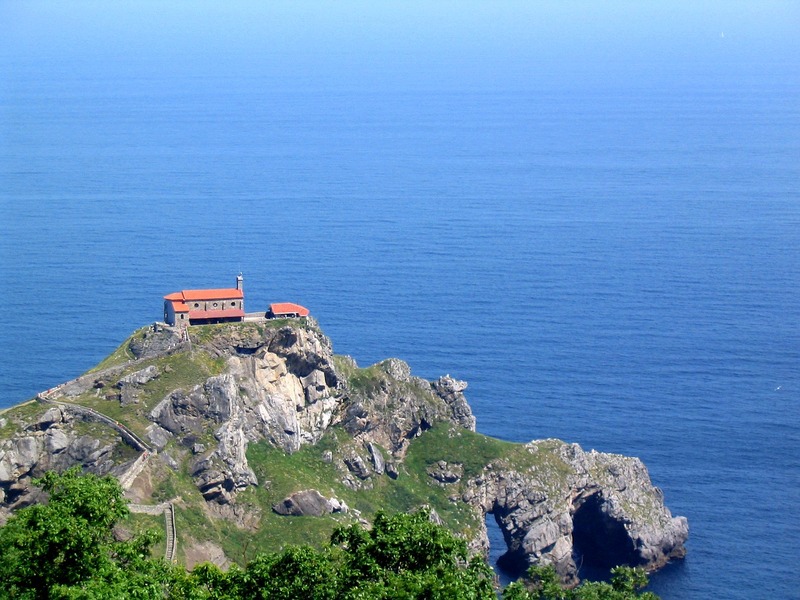 After hiking the trail to get to Gaztelugatxe then hiking the site itself, you’ll be wishing for a sandwich at the top. Also hydrate, hydrate, hydrate! If you go on a sunny day like I did there is minimal shade and breeze to regroup. You don’t want to pass out so bring a backup water bottle and extra snacks just in case. A hike is no time for an elaborate photo shoot! Wear hiking shoes, sneakers, or any sturdy shoes you own. 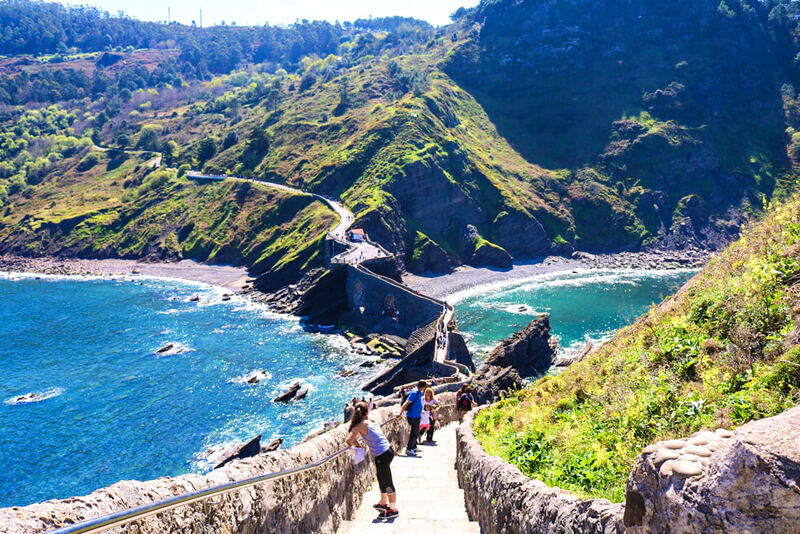 The stairs you have to climb to get to the base of Gaztelugatxe can be slippery with dirt or rocks and many tourists who can also lose their balance. Even though I wore proper shoes, I opted for workout-type clothes and they were all black. I regretted this decision later because it was 80 degrees. Check the weather beforehand and dress appropriately. Additionally, bring an umbrella! 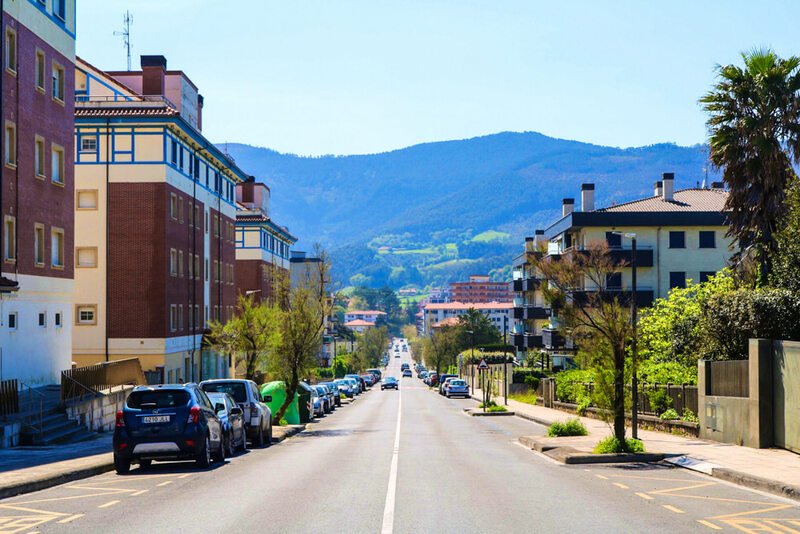 Basque Country is known for raining throughout the year, especially in Spring. It’s an open area and you will get poured on. A soaking wet hike is no fun for anyone. 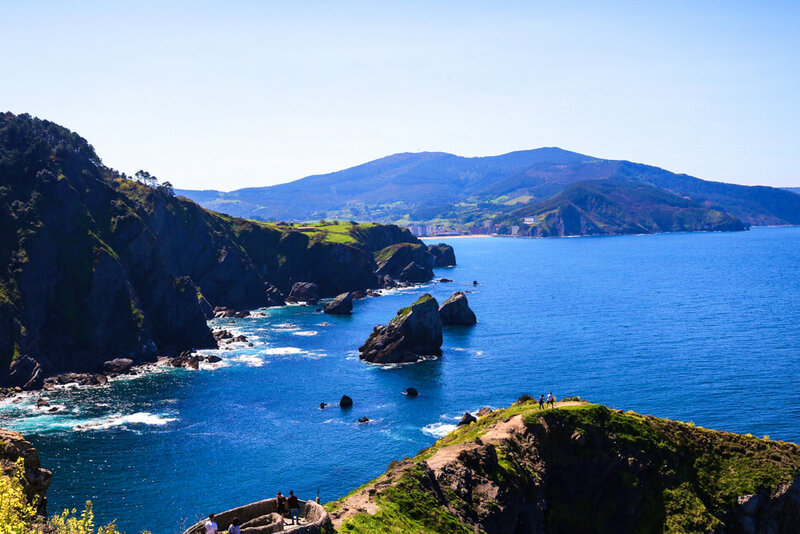 Bilbao is the closest big city to Bermeo and your best option to get hiking. I was living in Logroño, a neighboring city about 1.5 hours away, I left at 8:30am and didn’t return until 9:30pm. It’s most definitely a day trip and since you don’t want to be stranded I recommend getting started early. 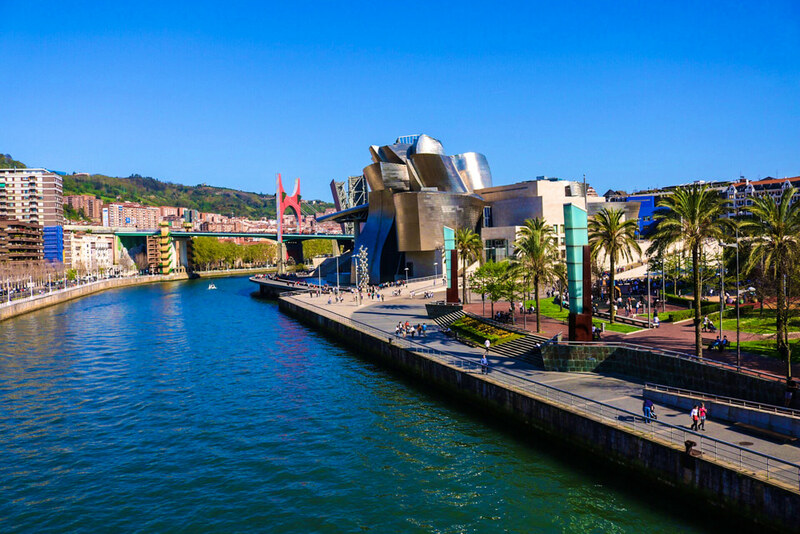 The bus ticket price to Bilbao depends on your starting location. You may consider staying overnight if you’re traveling from a further distance and don’t want to rush the experience. Use websites such as ALSA, Rome 2 Rio, and Go Euro to find the best prices and availability. Speaking of buses, transportation in Spain is a fickle thing especially when going to a village. Make sure you check the bus schedule online then go to the station for a paper schedule or call the day before to confirm. Get to the bus station early too! They are normally punctual, but there can be a lot of buses depending on the station. It’s better to be safe than sorry. 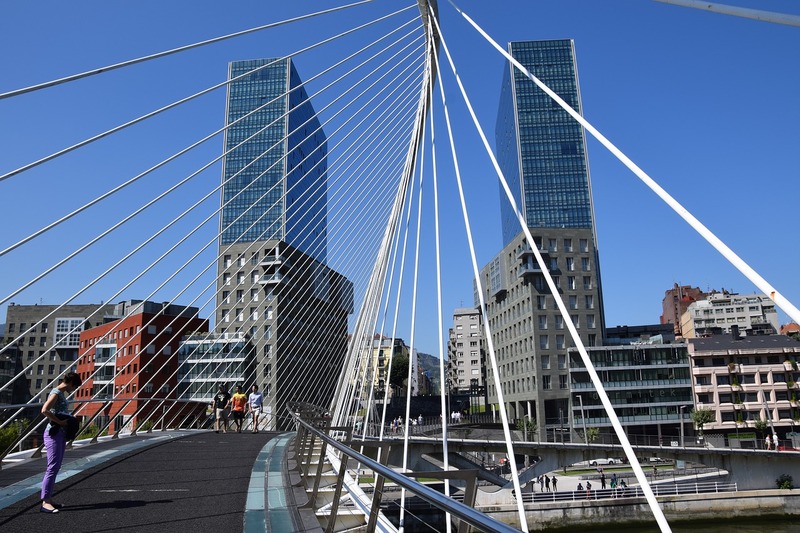 Once in Bilbao, walk to Plaza Moyua Square and wait for the A3518 green Bizkaia bus to Bakio. The buses run every 30 minutes, but the bus ride itself is about 40 to 45 minutes. It costs 6 euros for a round trip and you get off at the last stop. My bus driver was the best and let me know when it was time to go! Signs are also your best friend when hiking so make sure to follow the signed trail when you get off the bus. I almost walked on the empty road and got lost. Don’t do it. If you’re not into buses, you can rent a car. I personally used public transportation, but if you really want to go at your own pace I suggest using a car. It’s not necessary by any means, hundreds of tourists have not rented cars due to needing an International Driver License or Spain only having stick-shift cars. If you prefer being in complete control of the hike it’s a viable option. You need to be at least 21, however many car rental services charge extra if you’re under the age of 25. 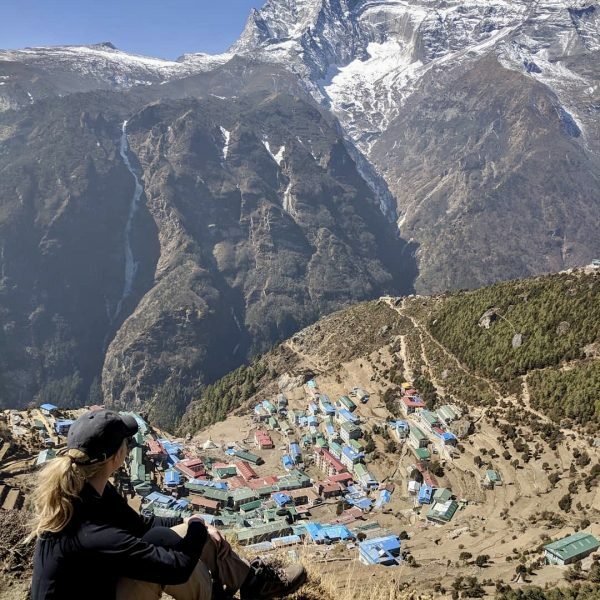 You can catch a taxi up the hilly hike, but I recommend the trail because the views are mesmerizing. 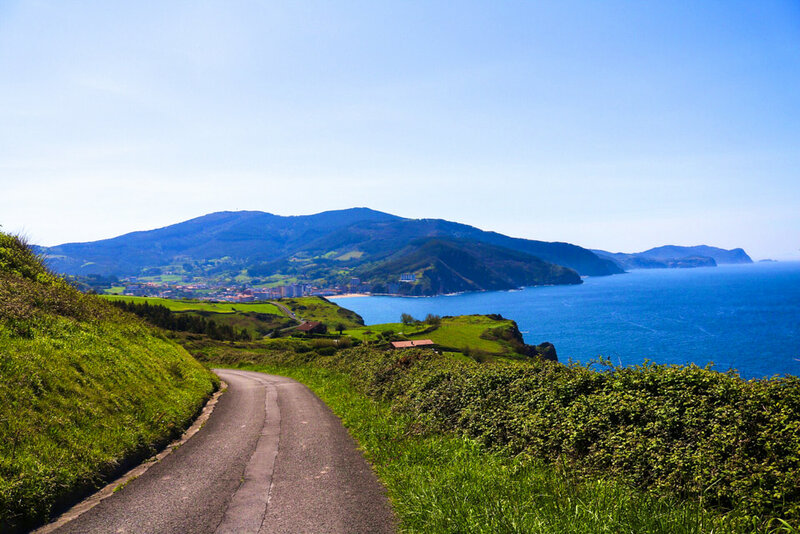 You’re walking on a cement road with trees on your right and the Bay of Biscay on your left. There are cliffs for days and even a beach along the Bay. Depending on your stamina it can take 45 minutes to an hour. Observe the greenery, sneak peeks of Gaztelugatxe between the trees and the cottages on breaks to catch your breath! 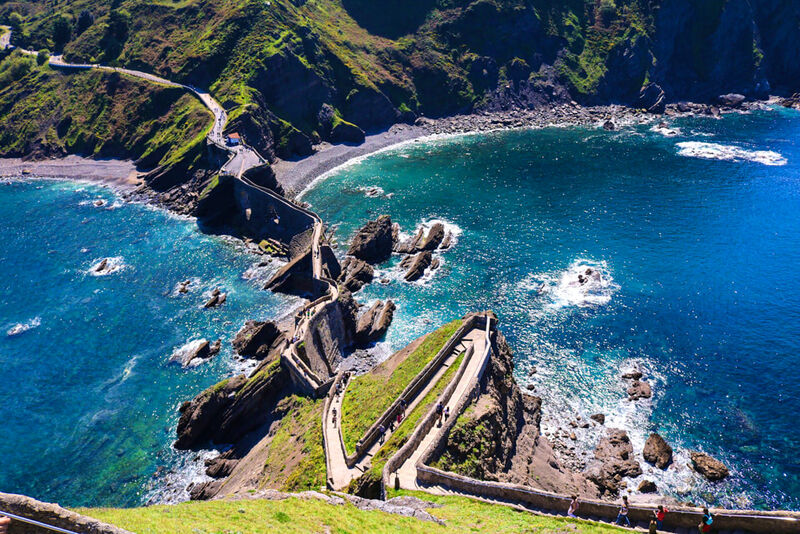 The 231 steps up Gaztelugatxe don’t count the dirt stairs to get there. Be careful and don’t run because there are rocks everywhere and you don’t want to get injured. Take breaks (and photos) when you want, then once you get to the top ring the bell 3 times for good luck! It’s tradition. This also the perfect time to eat that lunch you packed with all your new tourist-friends. As you may imagine, there aren’t many traditional bathrooms on the hike. 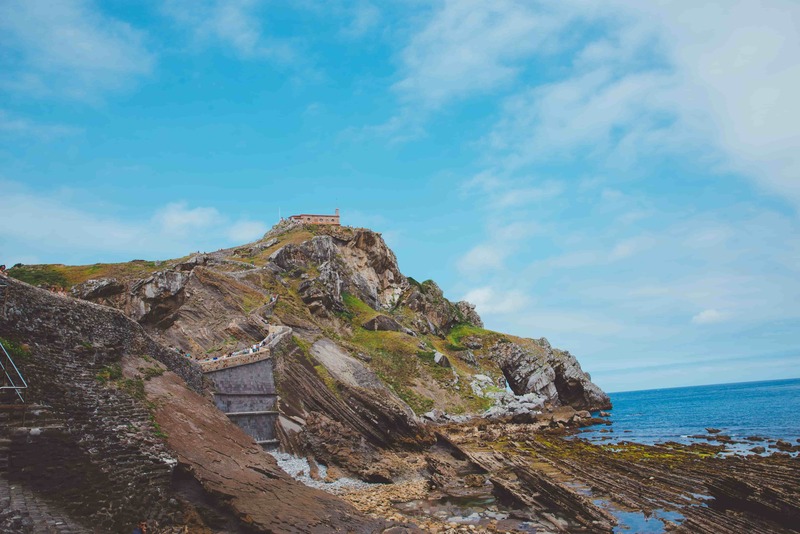 Before hiking the steps to Gaztelugatxe, or even after, there is a cute restaurant where you can use the bathroom and eat if you decided to not pack a lunch. The line was extremely long, but after a few hours of hiking and rehydrating a bathroom is an ideal pit stop. 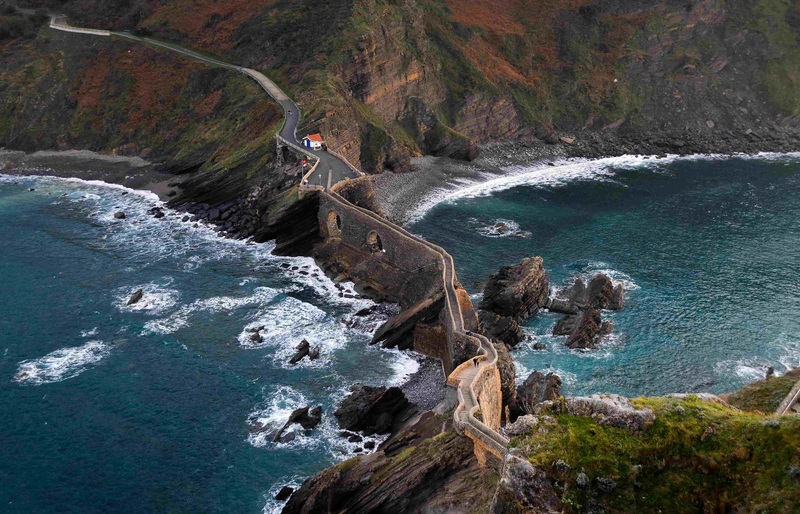 There’s also a water fountain at the steps of Gaztelugatxe you can use on your way up and down. You’ll be tired, but before getting on the bus back to Bilbao get some gelato! It is a beach town after all and you did just hike a Wonder of Spain. The gelato is just what you need before you nap on the ride back to the city. Treat yourself. You deserve it! All that’s left is congratulations! You have trekked 10 miles and can officially check “Hike a Game of Thrones Location” off your bucket list. Now you’re off to your next adventure: a hot shower or bath, probably another meal and patiently awaiting Game of Thrones to return. 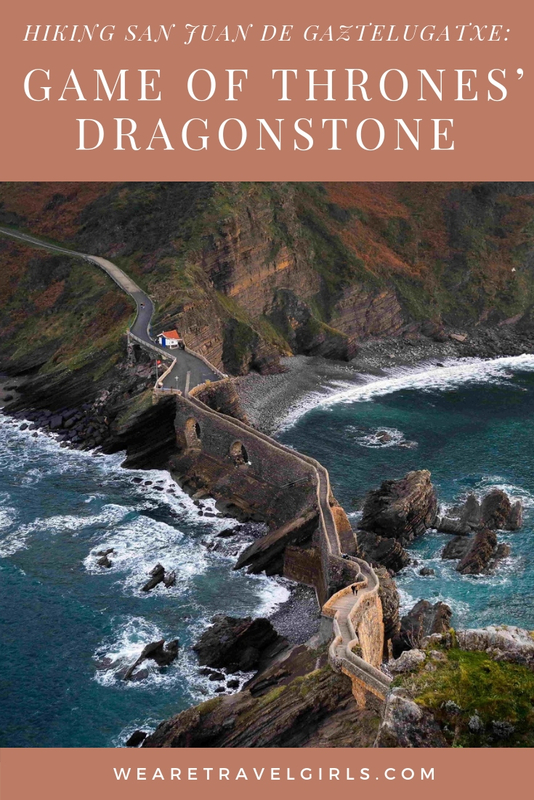 We hope that this article has helped inspire you to visit the famous Game of Thrones location San Juan de Gaztelugatxe. If you have any questions about the destination or have your own travel tips to share please leave these in the comments below. 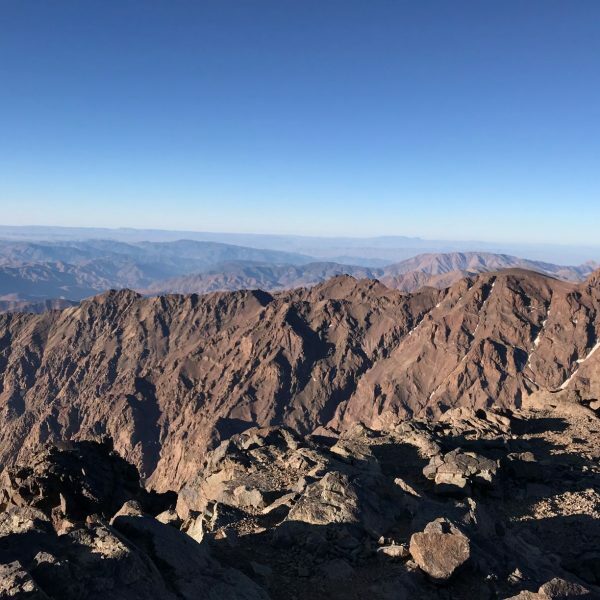 Did you have to pay to hike? or did you just paid for transportation? and where can you see if the site is open? 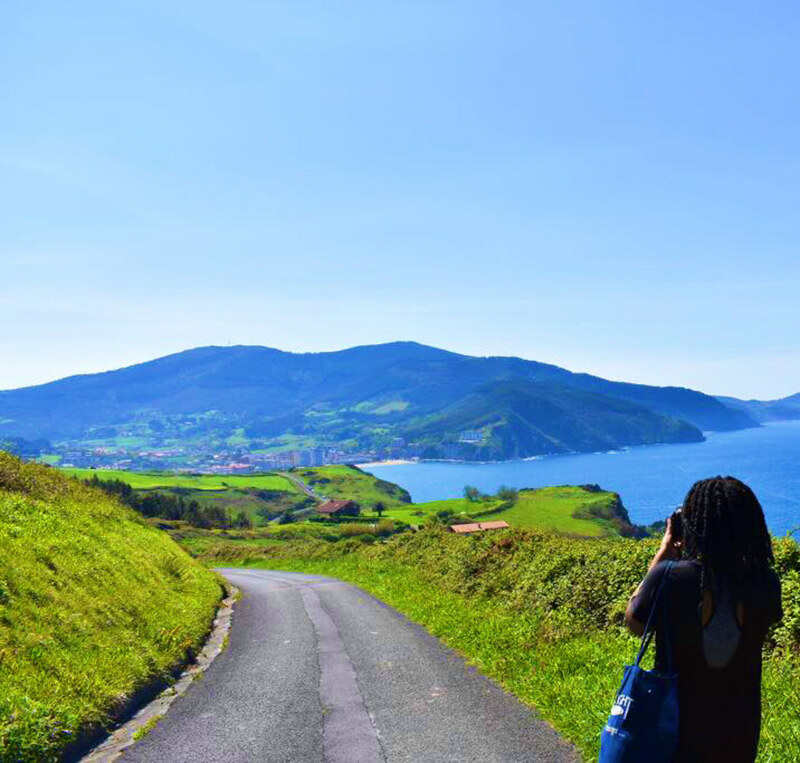 I have a travel blog called Penelope’s Odysseys and I am currently writing about the beaches of Bilbao. 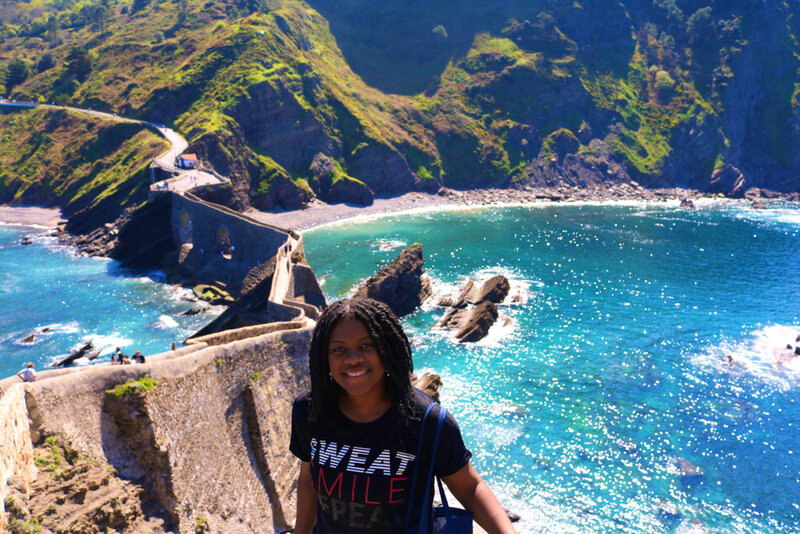 We made it to Bermeo, but arrived too late to hike down to San Juan de Gaztelugatxe. Also, truth be told, my husband is not a fan of hiking. 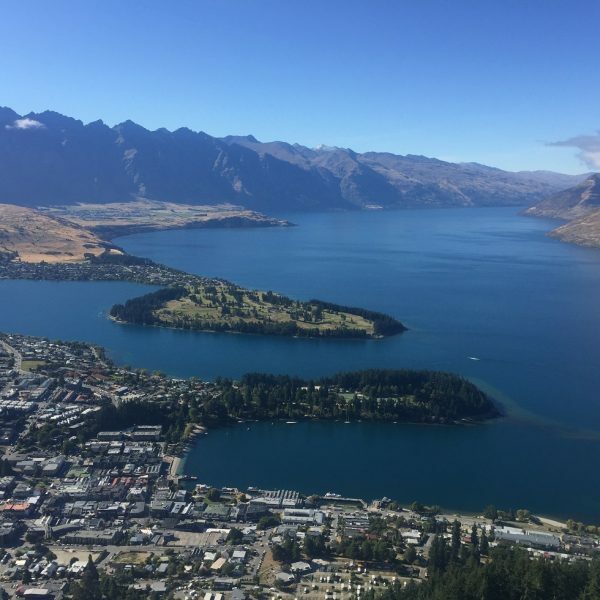 Anyway, I’d love to use one of your photos to show how amazing it is (with your permission). I’d credit you and your website.